The state is changing the way it rates schools to align with new federal rules that call for using more data points to judge performance. When Massachusetts education officials announce the latest round of MCAS scores Thursday, they also will be introducing a new system of judging school quality. The state’s more than 1,800 schools will be rated as schools of recognition; schools meeting targets/partially meeting targets; schools requiring targeted assistance; or schools requiring broad comprehensive support. Previously, the state categorized schools using levels one through five, with the highest number indicating a chronically underperforming school as measured largely by MCAS scores. The new ratings will be based largely on student performance on the Massachusetts Comprehensive Assessment System exams given each spring. Graduation rates and dropout rates will be factored into high school performance. 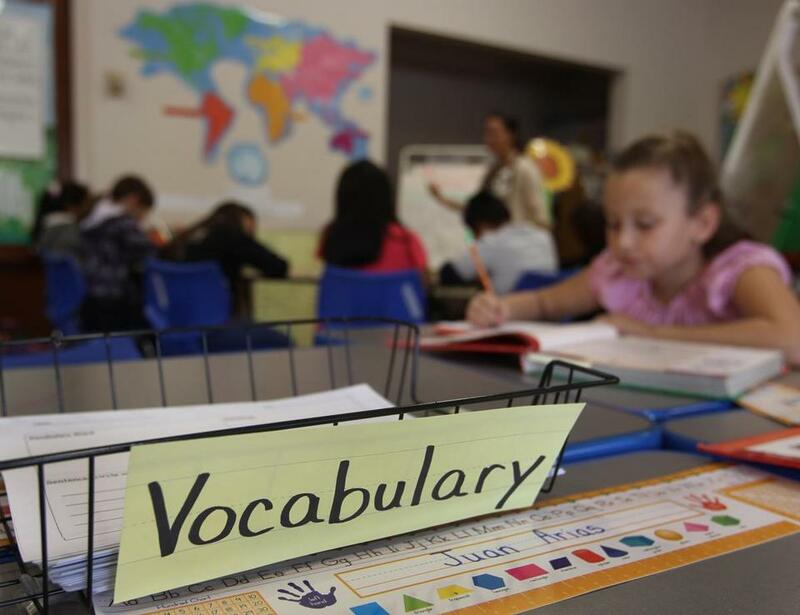 ■ Judge how much progress, or not, schools are making in teaching non-native English speakers the language. ■ Consider how many students are chronically absent from school, meaning they missed 10 percent of the school year. ■ Measure how many students are taking college-level course work, such as Advanced Placement, in high schools. The changes were made to bring Massachusetts’ school accountably system into alignment with new federal rules that call for using more data points in judging school performance. The new system comes just one year after Massachusetts revamped its two-decades-old MCAS exams in grades 3 to 8, shifting the lens of school performance. In almost every subject and at nearly every grade level, less than half of test-takers in the spring of 2017 met or exceeded expectations, as most others fell in the less desirable categories of partially meeting expectations and not meeting expectations. By contrast, students tended to earn higher scores on the old MCAS. State officials have argued that the revamped tests are more challenging than the previous ones and that many schools may still not be aligning their classroom lessons with the academic standards on which the revamped tests are based. More changes are on the way. The state will be rolling out an overhauled MCAS for high schoolers next spring.